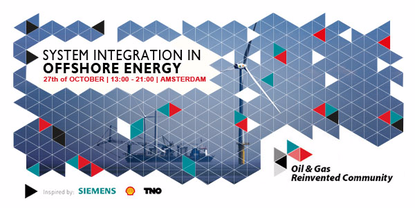 Oil & Gas Reinvented is an initiative of Siemens, Shell and TNO to promote innovation in the world of oil and gas. The focus here is not only on digitization but also on integration of wind and gas and on re-use of existing offshore installations. On October 27, a conference was held at the Shell Technology Center Amsterdam. Circular is active within the working group "Carbon Capture,Utilisation and Storage (CCUS).